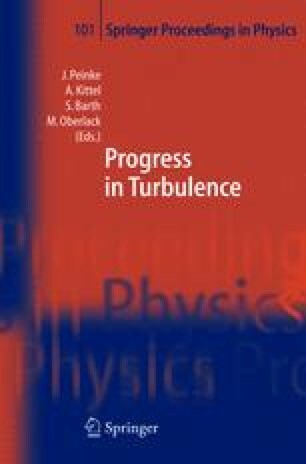 The measurements were performed in the 8 × 6 m2 test section of the low-speed German-Dutch wind tunnel (DNW-LLF) at Reynolds numbers up to Re = 50 × 106 in a zero pressure gradient turbulent boundary layer with a maximum thickness of 150 mm. Two triple hot-wire probes were used, one of which could be shifted in the vertical direction and the other one could be moved such that geometrically a three-dimensional wedge-like zone above the surface of the flat plate could be analyzed. Furthermore, 2C and 3C Particle-Image Velocimetry (PIV) measurements were done to obtain the instantaneous flow structure in a complete plane and to check the validity of fundamental assumptions such as the Taylor hypothesis.